Anna Paquin Wants All The Colors! I think it's safe to assume Anna Paquin likes the Free People Viole & Lace Trapeze dress. For those looking to make their Merlotte's uniform completely authentic looking, the teeny weenie, black shorts Sookie wears with Merlotte's uniform is by Old Navy. 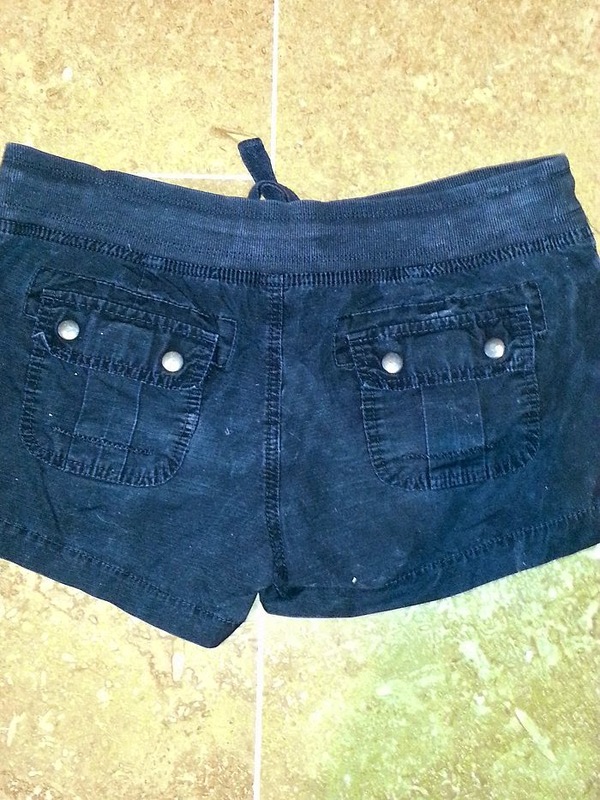 The costume department bought a whole bunch of the shorts at the start of season 1 for Anna Paquin to wear throughout the seasons. 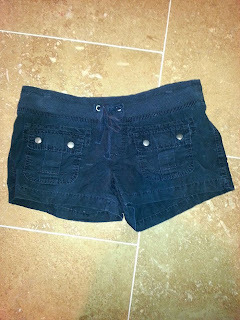 The shorts, of course, are not easy to find, but here is a glance at the details for those interested in finding it. 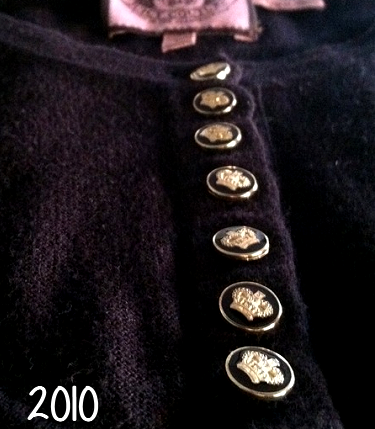 A special thanks to Kirsten at Sookie's Closet who was able to identify this beautiful jacket. Be sure to check out her awesome facebook group. While attending the Screensavers fashion show, on Oct. 22, 2014, Sarah Michelle Gellar wore an Escada Lace Eyelet-Hem Skirt. The beautiful lace trim skirt can be found at Neiman Marcus. 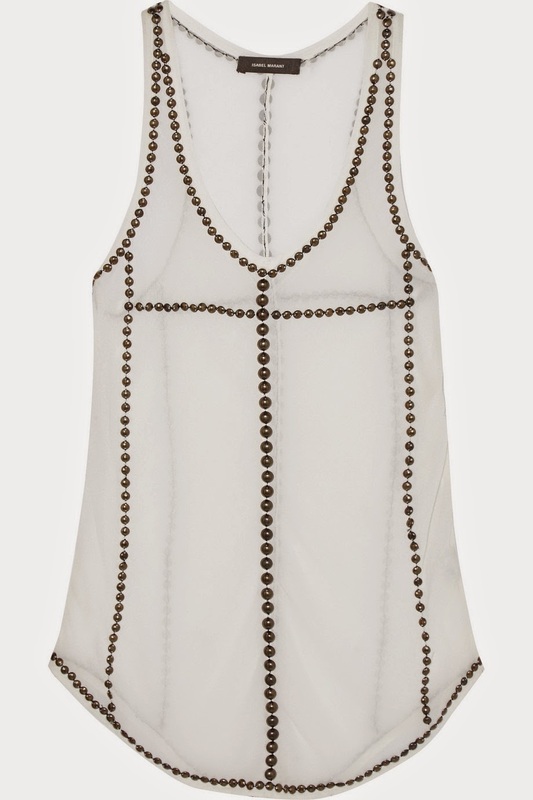 One of my favorite dresses, Sarah Michelle Gellar has worn, is this silk halter by BCBG Maxazria. So gorgeous! 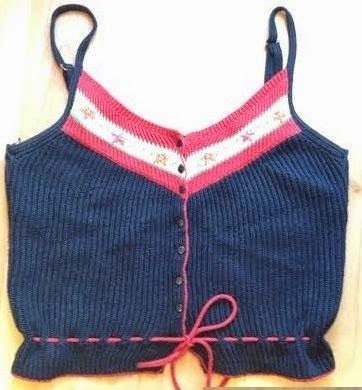 Despite being 10 years old, the dress pops up now and again on auction sites. 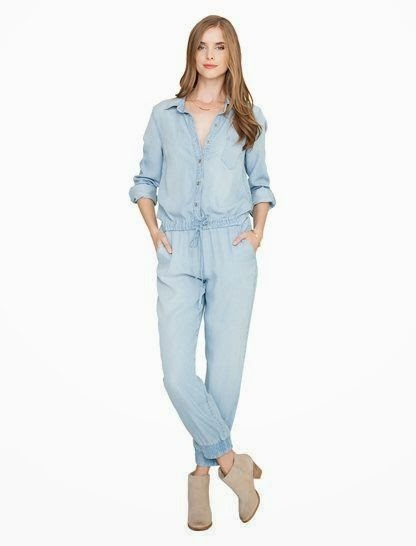 The easiest way to find it is to search for the words "BCBG" "Silk" "Halter" and "Dress". And I also click the "preowned" box in the search. I've had the best of luck with those key words. When a dress is silk, the seller usually likes to put that in the headline. It makes it easier to narrow down the search. 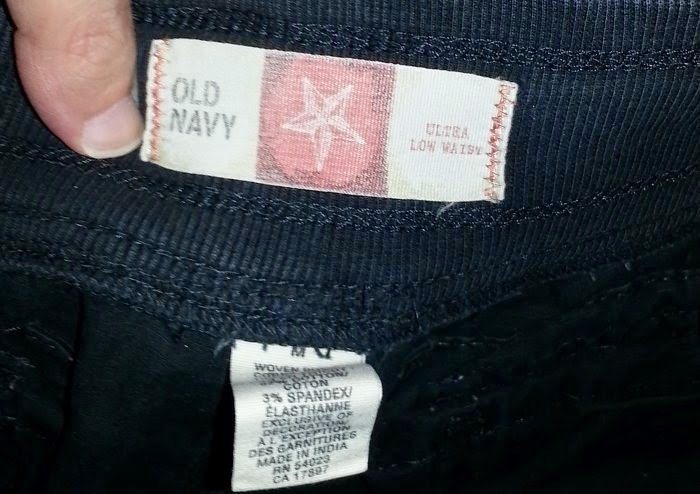 I've found this dress on four different occasions by using those key words. 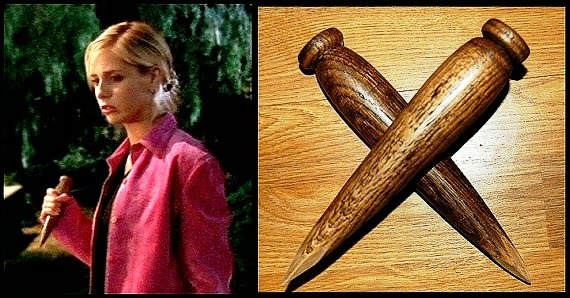 In season 2 episode 16 of Buffy the Vampire Slayer, Buffy can be seen wearing an adorable brown cami by Rozae Nichols. The top is a silky velvet with leather straps and has a cowl neckline. Buffy: "Sorry to say, Xand, slaying is a tad more perilous than dating." Xander: "Well, you're obviously not dating Cordelia." For those who may be preggers you may want to check out this dress. 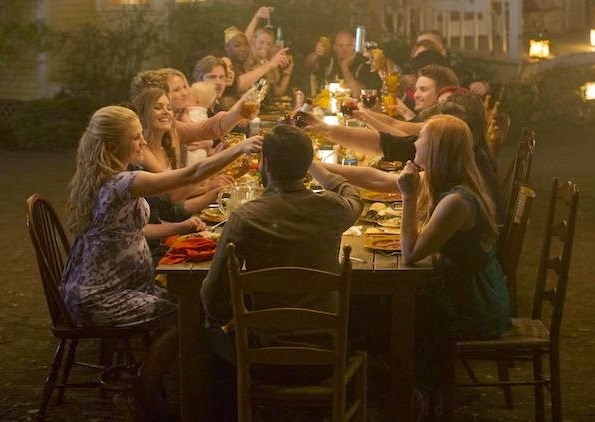 During the season finale of True Blood, a very pregnant Sookie Stackhouse comes into frame. The dress is by Seraphine and is available at Amazon and Seraphine's Official web site. I personally was hoping Sookie would end up with Eric Northman, but I guess a faceless stranger will have to do. And just FYI, even though the show has come to an end, this site will still remain running and operational with regular updates. Question of the day: What are your thoughts on the season finale? On June 13, 2014, Anna Paquin was spotted wearing an adorable pair of Citizens of Humanity Ava Striped Cutoff Shorts while out and about in Venice, CA with her hubby Stephen Moyer. 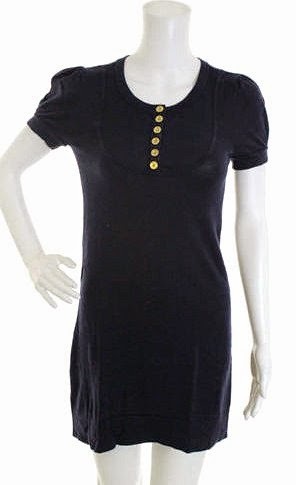 An outfit I've always liked of Anna Paquin is this simple yet adorable cotton, navy dress by Juicy Couture. Anna wore the dress at the Bam Benefit on Feb.12 2008. The dress must have been a popular style, because it was re-released in 2010. The main difference between the dress Anna Paquin wore in 2008 and the dress from 2010 are the buttons. 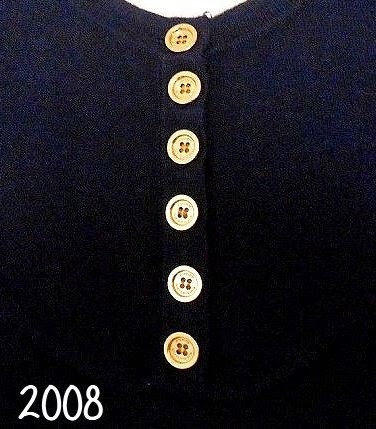 Anna's has 6 gold buttons with the words "Juicy Couture" on it, while the re-released dress has 7 buttons with the Juicy Couture crown imprinted on it. 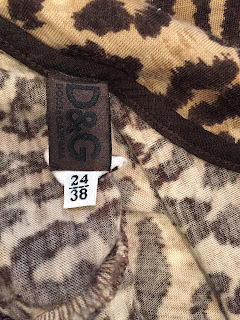 The dress is not easy to come by, but it does pop up, now and again, on Ebay and Poshmark.